How To Use 8 Easy Techniques To "Skyrocket Your Email List"
Are you new to list building or wish to skyrocket your email list? If you are not working or optimizing your email list, then you have to start now. All of the social media platforms you are currently using do not care about you! My advice, you should start building your list daily. Apart from your blog, your email list is the only thing you own online. It is the only direct way in which you communicate with your subscribers and nurture a relationship that leads to sales or business deals. A few years ago I got started my online business and finding out ways to grow my business online and get traffic and all that. I was so confused and had to learn a lot about the online world ( it is a very crowded and noisy place). Here I will show you tips on how to grow and skyrocket your email list and attain success with it. One quick question, how many email subscribers do you have? Why is email marketing king? Think about your customers on social media? Are you aware that we do not have any control over them? With email, you have control over your subscribers hence it is king. You should set a benchmark for yourself that for every 100 people who visit your site, you should have at least two sign-ups from these. A welcome mat is the first thing any visitor sees immediately they visit your website. It is a full-screen call to action and will help to increase your conversion and email sign ups. It is a powerful way to collect email addresses on your site from all your visitors since it is the first thing they see without any distractions from your site and its content. You can use SumoMe to get this as they offer both a free and Pro version depending on your needs. Setting up this is a smart way to collect email addresses from people who are about to leave your site. It will only show up when your visitors are about to leave your site. It is an ingenious way of getting information from those who have just visited your site even if they do not buy anything. Having their email address is a cool way of connecting with them later. You can easily integrate this using the List Building Tool from SumoMe. It helps you create pop-ups and even the welcome mat and much more. Note that Google is currently penalizing websites with many pop-ups. You should reconsider this option and make it as minimal as possible. Many people do not think or know how this can produce remarkable results. Make AB testing on both of your Mats or Pos Ups above and see which of them works best. You need to determine which of them increases your conversion and go for it. Make sure you do not change much on the testing version. 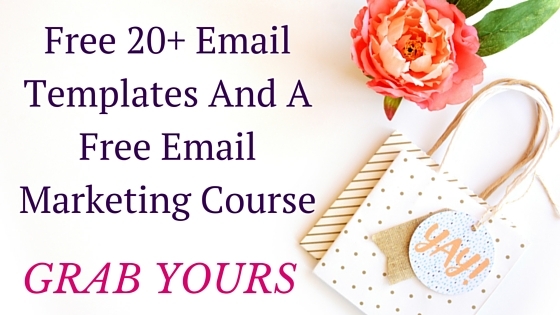 It is super easy and imperative strategy for you to skyrocket your email list campaign or growth. Give- Aways are an excellent way to get traffic to your site. Getting involved in online Forums like Reddit to drive traffic to your site. Have a presence where your niche or customers hang out and interact with them. You can turn them to clients and email subscribers too. Make use of all the groups you have joined on social media. That is groups on Facebook and LinkedIn for example. Most people join these groups and forget about them. Use them to interact with possible customers. Let them notice your presence and find value in what you share. It will help you drive traffic back to your website and possibly grow and skyrocket your list too. Targeted Ads on Facebook can help you get traffic back to your site. It is also a brilliant way to turn traffic into active email subscribers and finally paying customers. Create catchy offers on Facebook that require your audience to opt- in to claim them. 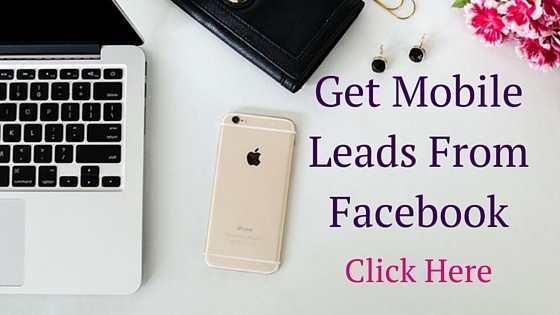 You can also create targeted Leads Ads from Facebook and generate lots of email subscribers to your offers. Leveraging Twitter Lead Ads and Website Clicks And Conversion from Twitter to get more subscribers and also drive traffic to your site. Alternatively, create a tweet and pin to your profile on Twitter. It triggers many retweets from your audience and subsequently more people exposed to your tweets. Add Call To Actions on your Youtube videos that lead to Opt-in pages. Creating an engaging email blast to an old and decaying list telling them to react or you will delete them from the list. Adding share buttons to your emails and encouraging those in your email list to share your emails with their friends, family, and social media platform. Write high-quality emails with useful content to your email subscribers, so they get value from it and never think of unsubscribing from your list. Adding opt-ins or lead magnets to the signature of every email broadcast you make. You have to create prominent opt-in forms that stand out and are impossible for your visitors to miss. It should have a prominent color as compared to the colors on your site and do not hesitate to AB test them and see which works best. AB test campaigns with several colors and options and analysis which of them works best. You want to capture as many email subscribers as possible from your website visitors. Endeavor to give your audience just one option, to opt-in to your offers. Creating an Ebook makes you stand out from the crowd and build authority in your niche. When in the process of making one, consider your target market, brainstorm on their burning questions and problems and provide solutions to these in your Ebook. Make sure it is packed with value so that they will be enticed to give in their information to have it for free. 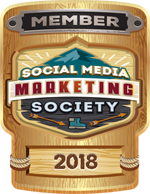 It is an excellent way to grow and skyrocket your email list especially if you target correctly and provide great solutions to their problems. The journey of an inbound marketer (me) or anyone doing business online is one of constant learning and AB testing. You should always focus on what produces great results to your business especially when it concerns tips to skyrocket your email list. Your email list is vital to the growth of your business so you (me) should focus more on it. It is my wish that the above tips will help you all grow and skyrocket your email list gradually. Do not forget that your subscribers may be future customers hence create great content to keep them and not scare them away. I hope you did enjoy it and thanks for reading. Do you have questions? I will be glad to answer them below. Fantastic tips. My new opt in will be ready in a month, I will be taking these tips into account. Sure, Sonya! I know you will make the best of it. Thanks for reading. I’m working on building my following for my new blog right now. It’s been going okay. We launched in June and it’s almost to 5,000. I guess that is alright. I need to implement some additional strategies, so thank you for the suggestions. I’m almost done with my ebook and subsequent series of ebooks, so I hope that will help me to see a nice boost! Exactly Jennifer! Congratulations on your ebook too and I know it will skyrocket your email list. Great tips! I’m already doing a few but will definitely try number 1! This may also be the kick in the but I needed to finally write me ebook! I just have a question about the pop ups. I heard that google is going to start penalising sites with popups in search results. Have you heard of this? How does it effect growing your list with them? Wow, Kayla I had no idea of it. I should do a research and will keep you updated. I love number 1 too but had some problems with my site and took it down. I will have it up and running again soon. Great information. I need to work on this and have emails, but am not emailing them. On my list . .
Trust me Robin; I am still working on mine too. But I am getting better at it. A great article and had to comment to tell you . It’s a great article and I like the way you set this up. Getting leads is the key. ThankYou And look forward to connecting. Thanks Lori! I appreciate and Yes we should connect!